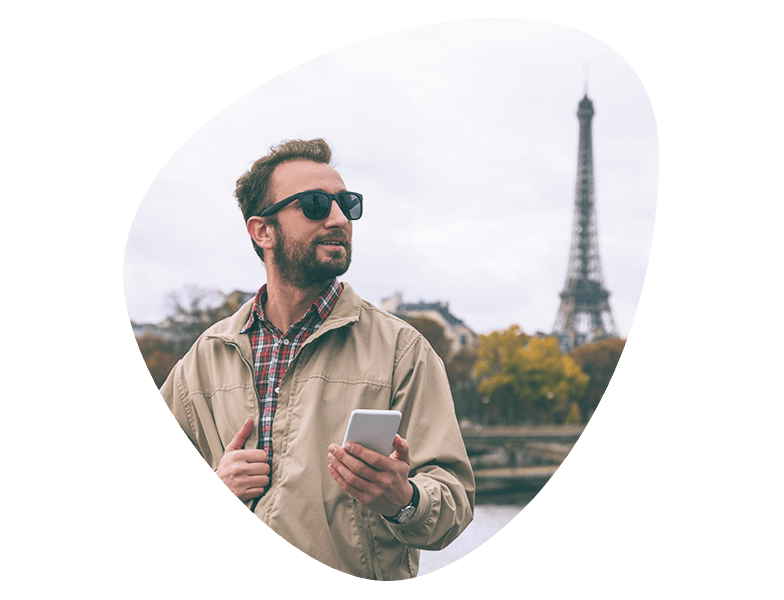 Our business mobile plans always include unlimited surfing in Finland, the Nordics and Baltics, plenty of call minutes, and a package of EU data of your choosing. All links lead to our online shop, which is currently only available in Finnish. Stop running after wifi! Unlimited data usage is included in the monthly charge of your subscription in Finland, the Nordics and the Baltics. You will thus be able to connect to meetings, find your way to the hotel, and compose a business email – whether you're in Vilnius or Västerås. All our subscriptions always include plenty of data for use in the EU/EEA countries – select between 8 and 15 gigabytes. For comparison: with only one gigabyte, you can surf the web for about 20 hours and participate in Skype video meetings for 6 hours. 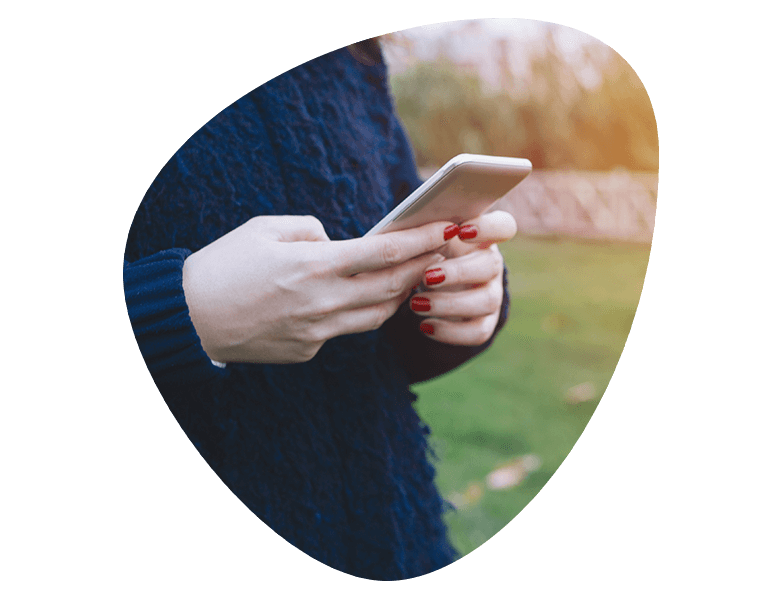 5,000 call minutes, 50 text messages, unlimited surfing, and the EU data package form the foundation of your subscription, which you can enrich with our diverse supplementary services – in this way, you will get a subscription package specifically tailored for you. Use the same number on two phones. You will get another SIM card for a second phone to be used as a spare phone on holiday trips or in your car, for instance. Useful when your phone screen won't suffice. Pro Surf card lets you use the data package of your phone subscription with your other mobile devices. You get an additional SIM card for your tablet or laptop, so that you don’t have to use a hotspot. Increase the number of text messages included in your package by one thousand per month. Increase your upload speed to the network maximum (100 Mbit/s) – handy if you often send data from your phone to the network in the form of large files or Skype videos. The Pro EU phone subscriptions always include unlimited surfing in the Nordic and Baltic countries. The size of the surf package available in the EU/EEA depends on the selected subscription package. Once the EU/EEA surf package has been used up, the user receives a message and can continue surfing at full speed at the wholesale price (6 € / Gb). In the Pro EU XXL subscriptions, the range of variation for incoming traffic is 0.02–0.2 Mbit/s in the 2G network, 0.4–40 Mbit/s in the 3G network, 10–100 Mbit/s in the 4G network, and 10–450 Mbit/s in the 4G+ network. In the Pro EU XL subscriptions, the range of variation for incoming traffic is 0.02–0.2 Mbit/s in the 2G network, 0.4–40 Mbit/s in the 3G network, 10–100 Mbit/s in the 4G network, and 10–150 Mbit/s in the 4G+ network. In the Pro EU L subscriptions, the range of variation for incoming traffic is 0.02–0.2 Mbit/s in the 2G network, 0.4–40 Mbit/s in the 3G network, 10–50 Mbit/s in the 4G network, and 10–50 Mbit/s in the 4G+ network. In the Pro EU M subscriptions, the range of variation for incoming traffic is 0.02–0.2 Mbit/s in the 2G network, 0.4–20 Mbit/s in the 3G network, 10–20 Mbit/s in the 4G network, and 10–20 Mbit/s in the 4G+ network. In the Pro EU S subscriptions, the range of variation for incoming traffic is 0.02–0.2 Mbit/s in the 2G network, 0.4–10 Mbit/s in the 3G network, 5–10 Mbit/s in the 4G network, and 5–10 Mbit/s in the 4G+ network. We provide flexible solutions to your company's changing needs. Leave your contact information with us, and we can find the most suitable solutions for your organization.